I was privileged to attend Jennifer Katz’s session on Curriculum Implementation Day in Vancouver recently. She did what only a skilled professional development speaker is able to do. She breathed life and passion and renewed energy for the work we do. I love professional development days and curriculum implementation days for just this reason. It is not teacher preparation time where the focus is on the myriad of daily tasks to be accomplished before going to bed. It is reflecting on the big picture of what really matters in what we do during the days we spend with our students. What are the things that our students will remember well into their adult lives? One aspect of my professional growth plan this year includes working with staff to further implement universal design for learning into the school community. As Jennifer Katz explains, Universal Design is a term borrowed from architectural design. It came into vogue in the early 80’s when government was mandating wheelchair accessibility for public buildings. This was a very expensive process after the fact but it was welcomed by not only people in wheelchairs but also by people pushing strollers or wheeling bags or carts or bikes into buildings. Buildings and spaces started to be designed to meet mandatory building codes but also provide choices and elements for a wide range of users. 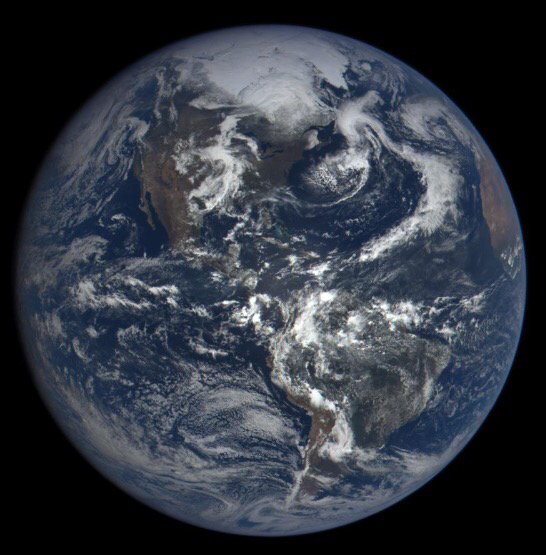 The “L” was added to create the term “UDL” for Universal Design for Learning and emerged as a lens or worldview to physically, emotionally, academically and socially accommodate all of our learners. The shift allows educators to design the learning environment and programming with diversity in mind. The original model for UDL was created by CAST at Harvard with a distinctly American context. Katz has been working with them collaboratively in a Canadian context. Shelley Moore has provided us with the meaningful graphic of the bowling pins and the reminder that if you want all of the pins to go down, you aim for the edges. In our lesson design, our planning for those students on the “edges” will allow us to also target those students in the middle. John Hattie’s well cited research on effect size, bodes well for UDL. An unusually high effect size of 2.8 is assigned for using the UDL 3 Block Model with struggling readers due to the synthesis of multiple measures. Ensouling Our Schools – A Universally Designed Framework for Mental Health, Well-being, and Reconciliation by Jennifer Katz is a great read, a wonderful way to invite conversations and an implementation handbook. It has provided a blueprint for possibilities and her pro-d sessions throughout the district have scaffolded the various options for implementation. Flexible learning spaces are in place. Supports and spaces have been designed to assist students to self regulate. Two types of activity paths are in the halls. Standing desks and wobbly chairs are physically present. Many classes provide daily supports such as “Spirit Buddies” to create a welcoming context. Many lessons are structured to accommodate the wide diversity of learning strengths and needs. However social and academic inclusion represents an ambitious goal. Doug Matear, Principal of Student Support Services in the Vancouver School Board, provides a solid goalpost of what we’re aiming for: “Universal Design for Learning allows all learners to be successful and included in all our lessons. It provides learning adaptations for all that choose to use them and applies Assessments for Learning principles to foster meaningful and relevant meaning making.” Cleary this is a process rather than an event. Fortunately, it is a goal that is supported by the implementation of the new curriculum and assessment in British Columbia, with the emphasis on collaboration and the development of core competencies. After my very inspiring professional development session with Jennifer Katz, I attended a more utilitarian session and refreshed my learning of the computer system required for ordering and managing inventory. I got to know a colleague far better in this session as we supported each other. The instructors of the session anticipated that each person would walk in the door with a different level of comfort with computers and proficiency with the program. It was designed for everyone in the session to be successful. Additional staff was available to scaffold participants not on track with the main presentation. Visuals and hands on opportunities to practice were planned with varying degrees of support. As a result, everyone walked out the door having learned something at the session. Nice UDL lesson design! Next my new buddy from this session and I headed to the annual after-hours mixer with retired colleagues. To my delight, I was able to visit with my Grade 1 teacher from Queen Mary Elementary School. When our paths crossed 10 years ago at a function for current and retired administrators, I recognized her eyes instantly. More amazingly, she recognized my eyes as well, and went on to ask about my mother, Barbara. In those days, Queen Mary had students who attended from the duplexes for rent by beach, the army barracks and the real estate had not yet sky rocked in the immediate vicinity. What I remember from Grade 1 is that my teacher had kind and smiling eyes. Single mothers were few and far between at that time but she also had the same kind and smiling eyes for my mother. Universal design was not yet in vogue, but she created a learning community where everyone was welcome. That’s what I remember. I am part of a group of educators in the Vancouver School Board, considering various inquiries about aspects of Reggio Emilia inspired practice. We came together with other like-minded educators in the Lower Mainland of British Columbia to participate in a school visit to Opal School in Portland, Oregon during our Spring 2018 vacation. Ninety British Columbia teachers converged on the Portland Museum where this model of Reggio inspired educational practice is housed. We had three days of intensive presentation, observation, engagement, reflection and discussion. In trying to make sense of the myriad of perceptions and information, I sought out books. Fortunately, Portland is also home to my new favourite place – Powell Books. This bookstore of all bookstores, takes up an entire city block, has new and used titles and is staffed with knowledgeable readers. I found what I needed for the learning to continue. Reggio Emelia Classrooms started in Northern Italy just after World War II in an effort by educators, parents and the municipal government to “produce a reintegrated child, capable of constructing his or her own powers of thinking through the synthesis of all the expressive, communicative and expressive languages.” (C. Edwards, L. Gandina, G.E. Foreman, eds. 1993, p.305). Essentially people came together in the belief that providing rich experiences grounded in basic human rights for children from 0-6 years old was the best strategy to prevent another emergence of fascism. 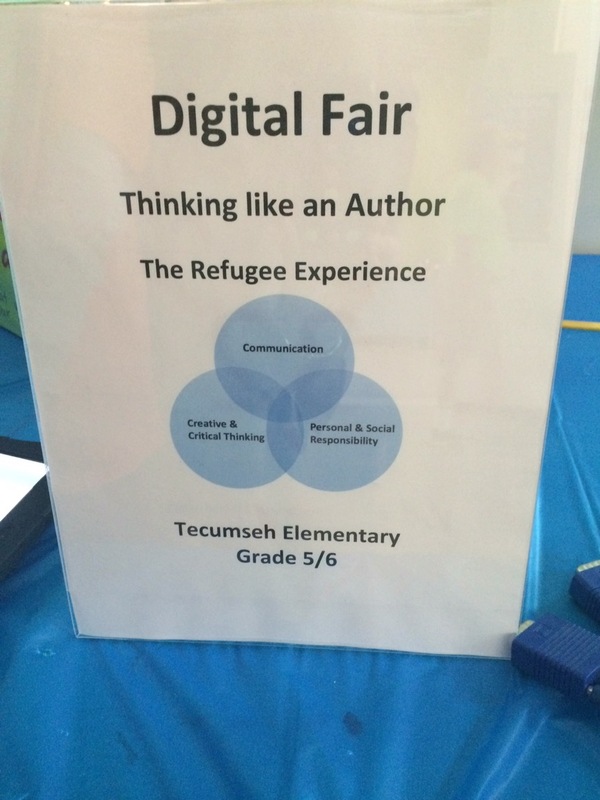 Building connections and respectful relationships between child, parent, teacher and the community was a foundational premise. Although it is widely accepted that it is not possible to transport educational ideas intact from one culture to a totally different context, there are ways to implement certain principles and ideas inspired by the Reggio experience. Loris Malaguzzi, the father of the Reggio Emilia philosophy of education, developed a metaphor that is very instructive in understanding the Reggio approach. His premise is that the relationship between the teacher and the student is much like throwing a ball, or as Vygotsky framed it, providing “scaffolds” to support young learners. The teacher must be able to listen and catch the ball thrown by the child, then toss it back in a way to extend the learning and maintain the motivation of the child to continue the game, aka for the child to continue to ask and answer the questions he or she cares about. An exhibit toured the United States in 1987 called “The Hundred Languages of Children” that provided the context and the educational process of the Reggio Emilia schools with a display and explanation of photographs, samples of children’s paintings, drawings, collage, constructive structures and explanatory scripts and panels. In 1996, editors Carolyn Edwards, Lella Gandini, and George Forman brought together a collection of essays and perspectives by influential thinkers and educators in what has become “a bible” of Reggio Emilia thought in a must-read book called The Hundred Languages of Children: The Reggio Emilia Approach to Early Childhood Education. The “hundred languages of children” refers to the multiple ways that young children grapple with their questions and create meaning, including drawing with various media (crayons, coloured pencils, pastels, charcoals, sticks…) on various surfaces (paper, glass, sand…), painting, plasticine, clay, murals, photographs, plays, skits, water, mud, wood, mirrors, light table and … , as well as with oral language. As Malaguzzi emphasizes “(t)he wider the range of possibilities we offer children, the more intense will be their motivations and the richer their experiences” (p. 73). Malaguzzi likened setting up the atelier, or space, for stimulating and meaningful centres of activity, to the setting up of ‘market stalls” where customers look for the wares that interest them, make selections and use them for their own purposes. With familiarity exploring the materials, comes the possibility of them being used as a tool for communication. Bring the knowledge and experience of the small group back to the other children and adults in the school. Reggio Inspired Opal School is both a private pre-school with two classrooms and publicly funded Kindergarten to Grade 5 Charter School with four classrooms. It represents an “ecosystem” or a Reggio inspired approach to learning based on the core belief that each child is capable, competent, creative, and filled with skills we need in the world. There was a very respectful way in which adults talked and interacted with students. They took the time to slow down the interaction with the purpose of trying to understand the child’s perspective and helping the child to ask the questions and come up with a plan to understand. The school has a long wait list and entrance is determined by a lottery. It is extremely well funded and provides students with a wide range of materials to express their learning and many large professionally prepared samples of documentation. 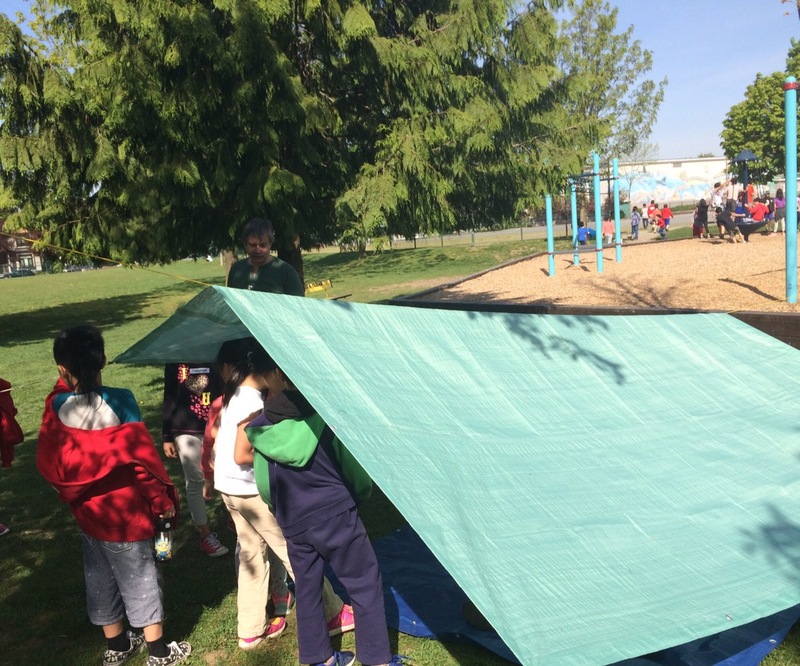 We were invited to be observers or listeners in the “ecosystem” and to look for examples of playful inquiry in the four K- Grade 5 classrooms, as well as adopt a willingness to be transformed. Popsicle sticks at the door controlled the number of observers in the room to keep disruption of the learning environment to a minimum. The day started with a Morning Meeting time. Project work was introduced with a provocation, a stimulating event, question or activity to motivate students to consider the topic. Explore time or project work provided the opportunities for collaboration. Students generally worked in small groups exploring a topic while one of the two teachers was transcribing discourse on a laptop computer. There is no library, cafeteria or gym in the museum so the classrooms, playground and museum grounds need to fulfill these purposes. Although Reggio programs were designed for children from birth to 6 years, many of the principles holds true for older school aged students to be nurtured in the same supportive context by educators, parents and community partners. 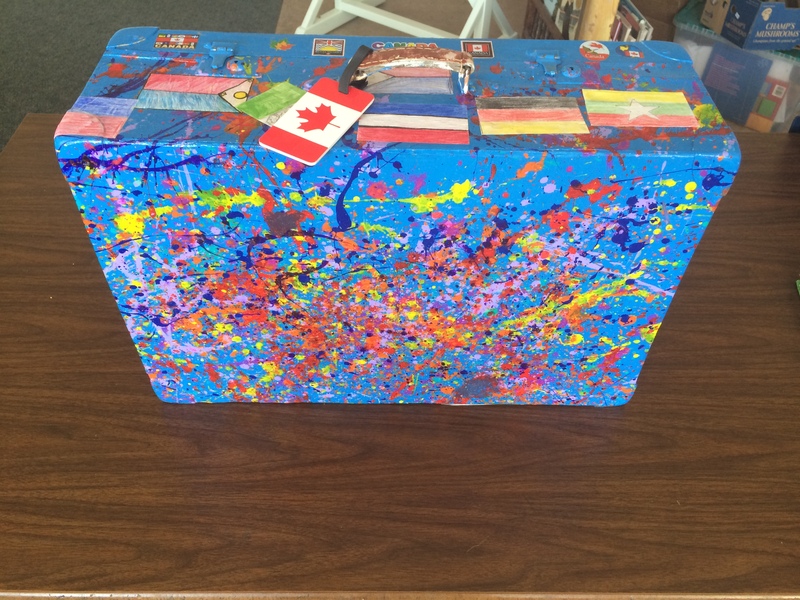 Many educators have embraced many of the principles and philosophies of Reggio Emilia Schools and they can be found in the New Curriculum in British Columbia. Yet, there are other aspects to consider as well. Student Centered Learning: I love the quote by Loris Malaguzzi, founder of the program in Reggio Emilia: ” We wanted to recognize the right of each child to be a protagonist and the need to sustain each child’s spontaneous curiosity at a high level”. (p. 45) Viewing the child as competent and capable of learning is a large step away from the notion of the child as a “tabula rasa” or empty vessel. 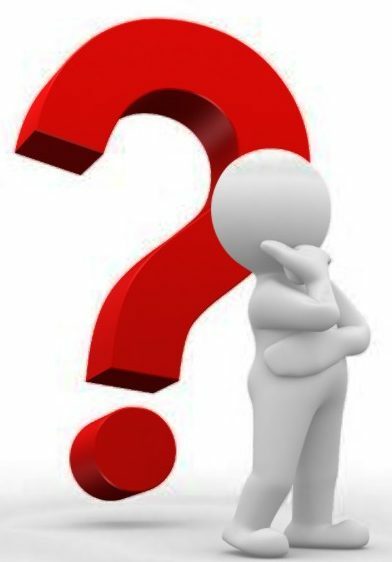 Inquiry: We can develop schools that encourage students to ask complex questions, plan investigations, and believe in themselves as capable and competent learners, even when faced with cognitive dis-equalibrium. Acknowledging the Role of Conflict: Reggio philosophy acknowledges the role of conflict in coming up with the best solutions. Students are encouraged to disagree, debate and problem solve independently. Teacher discussion is much the same with problem solving involving listening to all of the viewpoints presented. Deference to authority has not had any place in Reggio philosophy due to the WWII experience. I believe students and educators would benefit from more rigorous debate, lively exchange of ideas and problem solving opportunities. Decisions should be based on clear thinking not alliances. Learning Intentions: As we are dealing with school aged children, there is a curriculum that we as educators are responsible for covering with our students. Using provocations to engage students in a topic and teaching students to set a learning intention has benefits to both motivation to learn, making connections and considering a direction to pursue. 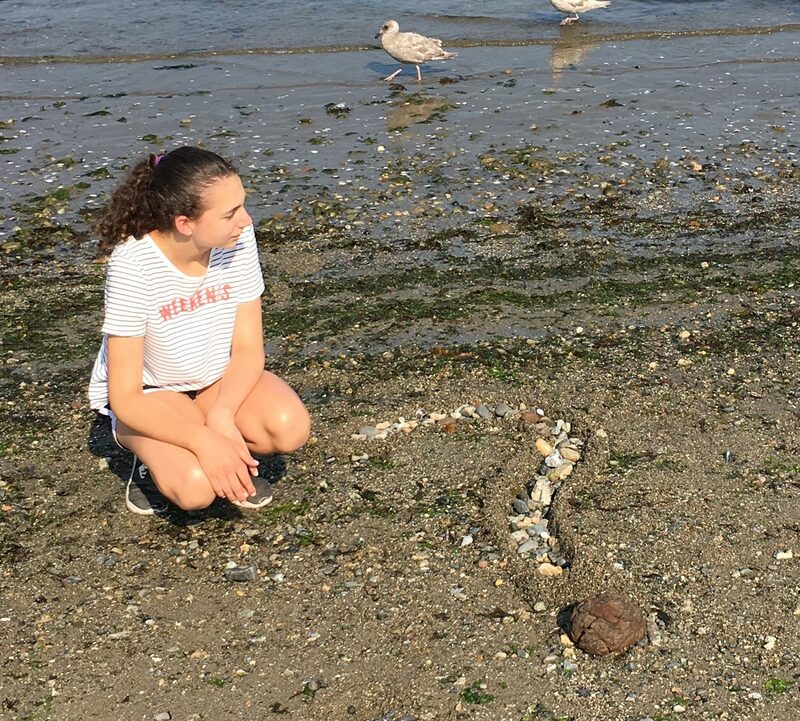 Multiple ways to explore questions and communicate learning: In many ways our curriculum in British Columbia is doing just that. Inquiry is encouraged but the variety of ways to communicate not yet fully understood. 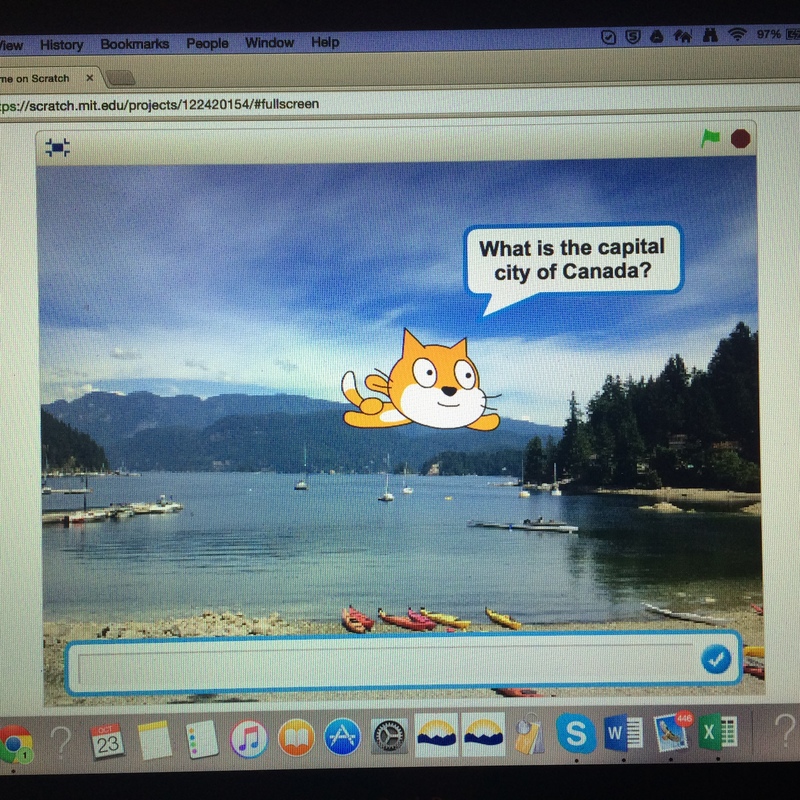 An atelier (studio / lab) for exploration may not be a reality in schools in British Columbia, but the exposure and ability to explore questions using a variety of media is possible. In many of our schools, the accessibility of parks, beaches, forests and farm land provide access to materials not often readily available in urban settings. That being said, the funding to allow exploration of a wide range of artistic expressions would open up amazing possibilities. Communicating Student Learning: I believe the new ways of reporting to parents is continuing to be a positive development in nurturing relationship with students, parents, educators and community partners. Reporting from teachers continues to be important but one avenue of communicating student learning to parents. Mandatory student led conferences indicate the importance of student voice in learning. Parents are also frequently invited into informal events which allow them to gain greater insight into the learning process of their child. Large displays which documents student learning in diverse ways and sharing project outcomes and actions also brings a better understanding of the role of play and inquiry in the learning process. Documentation to develop Meta-cognitive Skills: Teachers currently use a variety of means to document student learning. However the documentation is frequently used for assessment purposes. There would be real benefit in putting a greater emphasis on using documentation as a tool to help students develop their metacognitive thinking skills. Professional Development: As John Dewey put it, educators are called to adopt a stance of “learning to learn”. Educators are involved in daily conducting of systematic research on daily classroom work for professional development, curriculum planning and teacher development. The obvious benefits of this process make it very worthwhile to facilitate common prep times in schools to allow teachers to meet for these purposes. Designing schools to facilitate collaboration: In Italy, there is high value placed on art and aesthetics. Historically, designing public spaces includes not only the aesthetic but the priority of facilitating social interaction. Our schools need to be designed or transformed into spaces and places to invite collaboration and indicate that we put high value on the education of our students. Creating Mutually Beneficial Community Partnerships: Creating the Opal School in the Portland Museum opens up a range of options to consider. 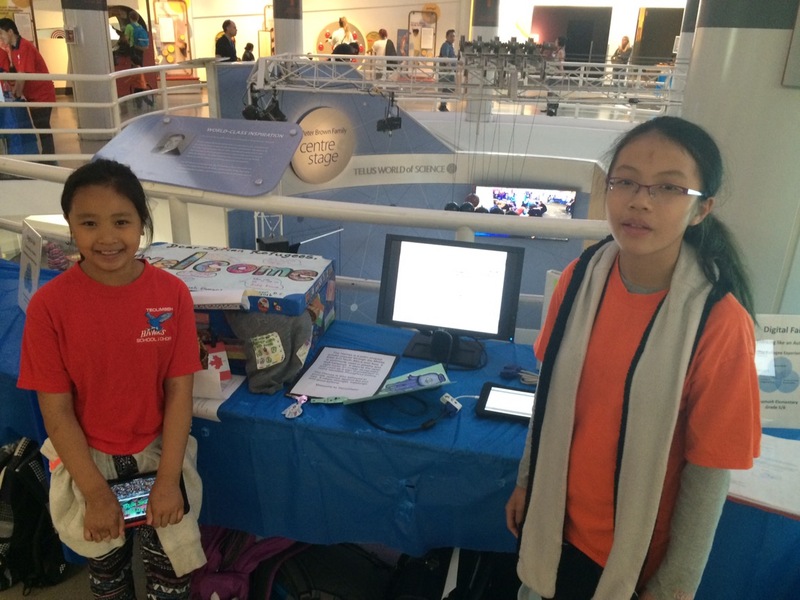 Young Opal students were able to contribute to the curated Museum display teaching about the Tet celebration in Vietnam. What a powerful way to demonstrate the power of the inquiry project to the students, parents, community partners and the public. No wonder there is such a long waiting list to attend. Dana Mulder, one of the Tecumseh staff members, gave us the opportunity to experience the Science of Art last week. 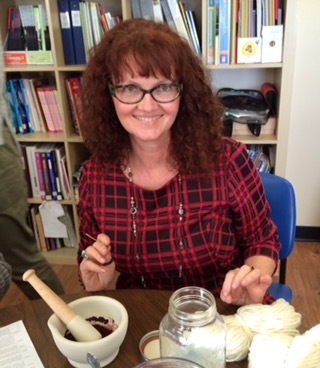 She has developed a considerable amount of background knowledge through her work providing programs at Van Dusen Gardens and provided an after school session for interested staff members on dyeing wool from natural materials. My experience to date with dyeing anything has been Rit dyes out of a package. It felt like a whole new world was introduced. 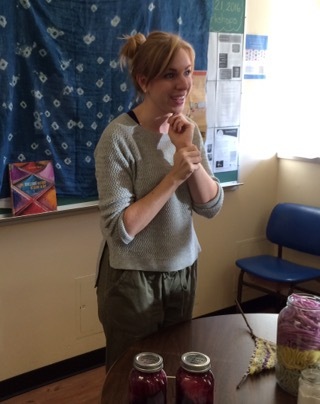 Dana not only taught us about the natural dyes used historically but also the stories and collection of the plants and insects that they were derived from. 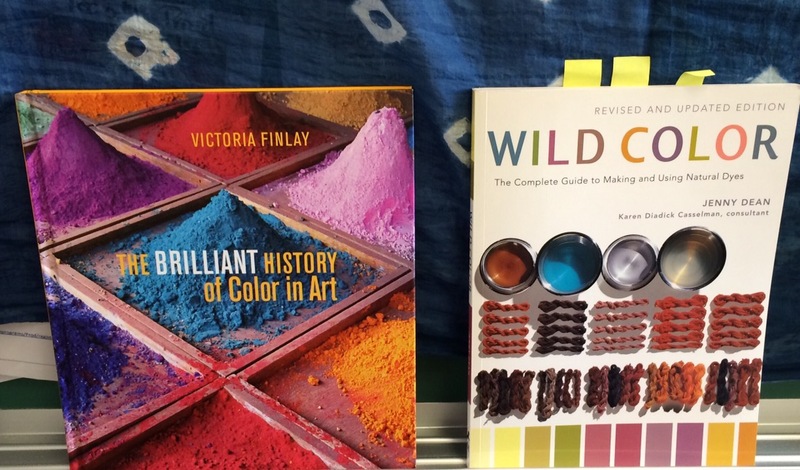 The Brilliant History of Color in Art by Victoria Finlay, Wild Color and Quilt History also provide a plethora of information for further exploration. 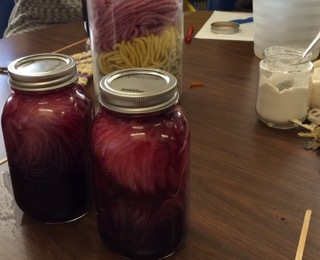 We learned there are three types of natural dyes derived from three different sources. There are natural dyes obtained from plants (indigo), those obtained from animals (cochineal), and those obtained from minerals (ocher). We used ALUM as the mordant to facilitate the chemical reaction that takes place between the dye and the fiber so that the dye is absorbed and brightens the colour slightly. Other common mordants are: IRON (or copperas) which saddens or darken colors, bringing out green shades; TIN to brightens colors, especially reds, oranges and yellows; BLUE VITRIOL which saddens colors and brings out greens and TANNIC ACID used for tans and browns. Some dyes like walnut hulls and lichens do not require mordants. I chose the cochineal dye, not for the smell, but for the story and for the rich, red colour. Historically cochineal was a valuable commodity, only beat out in trading popularity in Europe by silver and gold. These dead insects, hence the smell, are ground with the mortar and pestle into a fine powder that is mixed with the alum for a beautiful colourfast dye. As a child I spent a lot of time with my grandmothers. Knitting, crochet and embroidery projects were clearly enjoyable but also had a specific utilitarian purpose. Creating clothing, decorating pillow cases and saving money were a driving force. I learned to appreciate these endeavors and continued to pursue them and teach them to students as hobbies. Dana’s session provided us the opportunity to consider the cross curricular connections implicit in the craft. Her dyes included crushed marigolds, dandelions, leaves and the cochineal insect. Dana also provided information on respectful harvesting, although I have grand aspirations of our students stripping the ground of all traces of dandelions in spring to deal with this pernicious weed on our school grounds and use them for something purposeful! The new curriculum in British Columbia gives educators the opportunity to consider the things that we do in schools through a new lense. Dyeing wool no longer belongs solely in the realm of arts and crafts. 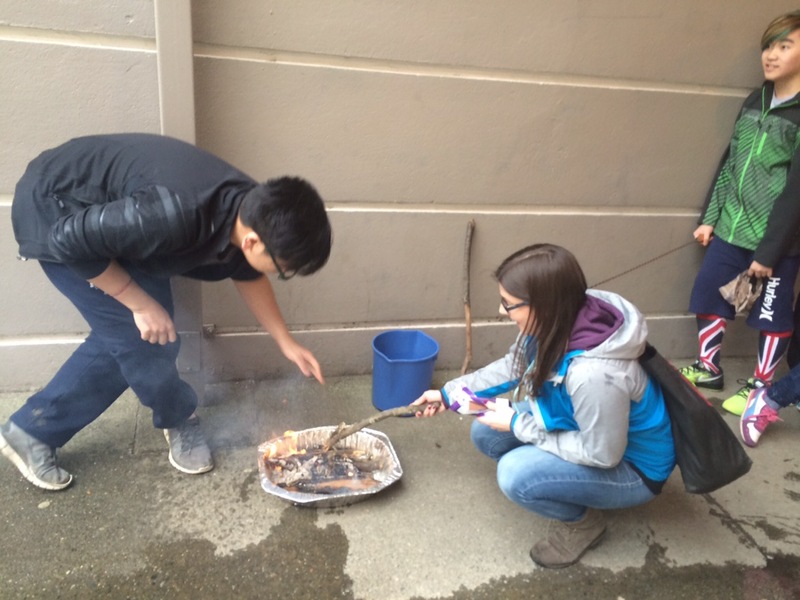 It becomes part of science, the stories of history and Indigenous practices, as well as outdoor education. It also provides a high level of engagement that was able to keep educators at school after a week of parent-teacher conferences and preparing for professional development sessions the following day. It continues to hold our attention as we shake our jars daily to distribute the colour and imagine the final outcome. Special thanks to Dana for opening our eyes. My Nanny Keenan would be thrilled . 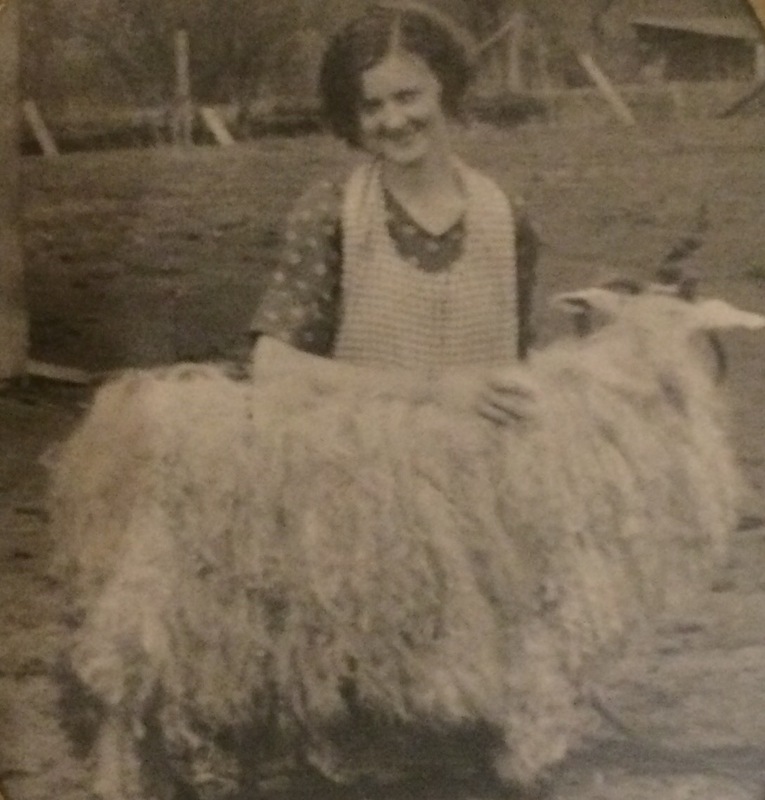 She had fond memories of this long-haired sheep on the farm in Brandon, Manitoba. I can only imagine what she could have done with these dyes!